If you’re looking to get in shape you may be surprised to learn that the beverages you play can have a huge effect on your weight loss results. If you have modified your eating habits and increased your exercise regime, certain healthy, all natural drinks will help you naturally spur on your weight loss. 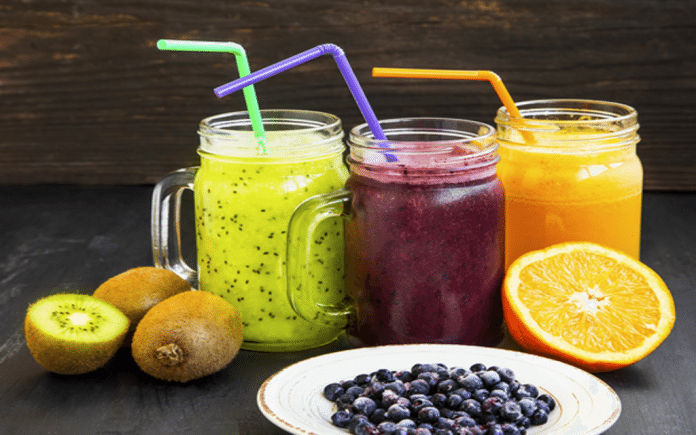 You won’t find any strange powders or chemicals here, all these drinks are made with things you probably already have in the cupboard and are scientifically backed without side effects. Honey is known for its natural, metabolism boosting properties. Honey has a higher glycemic index than white sugar; therefore it doesn’t cause a spike in blood sugar but it gradually absorbed. Cinnamon stabilizes blood sugar and helps metabolize glucose. Together, these two ingredients will help give you a feeling of satiety for longer helping you lose weight. Water is a very helpful tool when it comes to weight loss. This calorie free, widely accessible drink is also known to increase resting energy expenditure, which is the amount of calories a person naturally burns while at rest. Water also helps increase feelings of satiety and flushes toxins from the body. Your morning bump of energy is actually a very beneficial drink. While most people douse coffee positive attributes with sugar and cream, keeping it black may help you in the long run. Coffee is filled with antioxidants and caffeine is a great natural appetite suppressant. Just make sure you don’t overdo your consumption! Green juicing or vegetable juices offer a complex cocktail of vitamins, antioxidants and fibre. Many people swear by juicing to curb their sugar cravings, caffeine cravings and junk food cravings. These fresh juices are meant to complement a balanced diet, not replace it, but they are wonderful to include in a healthy diet. Keep in mind, store bought vegetable juices are often packed with added sugar and salt so it’s best to make them at home. Green tea has long been known for cancer-fighting properties but has recently been shown to also benefit weight loss. Green tea contains much less caffeine than most caffeinated beverages so it won’t keep you at night or increase your heart rate and it also contains EGCG, a substance that can naturally boost your metabolism. While it may not sound as appetizing as the juicy little berries, raspberry leaf tea and raspberry drinks (adding raspberries to any blended drinks or to water), packs a serious healthy punch. They contain a glut of nutrients, such as vitamin C, manganese, fiber, copper, vitamin K, pantothenic acid, biotin, vitamin E, magnesium, potassium, folate, and even Omega-3 fatty acids. Raspberry leaf tea is also very beneficial to woman as it increases fertility and reduces menstrual cramps. This yummy smoothie can do wonders for your weight loss. Super filling and chockfull of fiber and vitamins, a smoothie made from dates and bananas will keep you feeling full longer as the fiber breaks down slower and the sugar is naturally occurring and will not cause a spike in blood sugar. The sweetness of the drink will also help curb sugar cravings. To make it, mix a cup of almond milk with a handful of pitted dates and a cut up banana. Add a bit of powdered cacao for a nice flavor. Blend until smooth and consume. Almonds are amazingly high in protein and protein is a great weight loss tool. Protein is the single most important thing in your diet and one of the basic fuels your body runs on. This smoothie will keep you satiated and full of energy and apples natural sugars will give you a nice burst of liveliness. To make, mix a cup of almond milk with a cored and peeled apple of your choice cut into chunks and a handful of raw almonds. Add a bit of flavor with peanut butter or a banana and blend until smooth. This soothing tea does not only benefit a sore throat and an aching stomach, but can also increase body temperature to amp up your calorie burning abilities and will also help break down foods in your stomach, decreasing bloat and increasing energy.